My compilation today follows the same concept laid down by the FDB piano mix, except that this time the focus is horn samples. It has been a difficult task to narrow this down to fifteen tracks due to the huge range of hip hop cuts that have utilised either trumpet or sax loops (these two instruments seem to be the primary source for the majority of samples), but I am pretty happy with the final product: let me know what you think. Whenever I put together a compilation I never put two tracks by the same artist, although Pete Rock and Diamond D do appear twice with production credits on ‘Let I All Hang Out’ and ‘Illegal Will Rock’ respectively. I have tried to get a bit of a cross-section of horn sample usage, so for example on ‘Once Upon A Time’ there is a simple stab at the beginning of each bar, whereas on ‘Datskat’ you have an extended live sax solo that brings the tune to a close. As I said before, with such a wealth of material out there this obviously represents only a tiny fraction of what could be put together. Still, I enjoyed compiling these tunes, have had the mix in rotation for the last couple of days and hope that you will too. 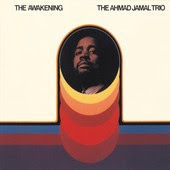 With last week’s ‘FDB Piano Mix’ I threw up Ahmad Jamal’s album as it was the source for some of the samples on the compilation. This week, I’ve kind of gone the other way around, with the horn compilation inspiring me to think of some of my favourite jazz saxophonists. 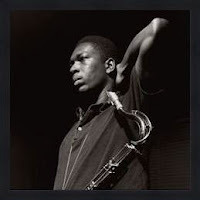 Although my knowledge of jazz is by no means extensive, Coltrane comes top of my list with ease. 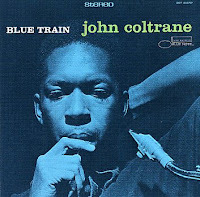 The album ‘Blue Train’ was released in 1957 and it is not only one of Coltrane’s most important and influential albums but also for the genre of jazz as a whole. In line with the horn theme for today’s post, the album features saxophone, trumpet and trombone: a veritable horn-fest. Featuring both smooth, lazy Sunday afternoon tracks (‘I’m Old Fashioned’) as well as more upbeat numbers (‘Locomotion’) this is a certified classic of the genre. Apparently, it is said that Coltrane killed jazz: he was so good that there wasn’t really any point in anybody bothering in the future as they would inevitably fall short of the mark. This is perhaps a bit of an exaggeration, but there is no doubting the quality of the music on this album and the importance of Coltrane within a genre from which hip hop has drawn inspiration on countless occasions. As my knowledge of production equipment is limited, this is the last of my brief posts on hardware that is important in the world of hip hop. 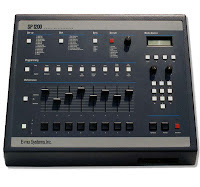 The SP 1200 revolutionised the way that hip hop could be put together, allowing producers the flexibility required to chop up a sample and flip it in any way that their imagination took them. Briefly re-issued in ’93 and ’97, these drum machines still change hands for considerable money secondhand due to their legendary status in hip hop circles. This was used by pretty much every hip hop producer in the late ’80s and early ’90s, eventually being eclipsed by the dawn of the MPC, a more sophisticated and verstaile piece of equipment. 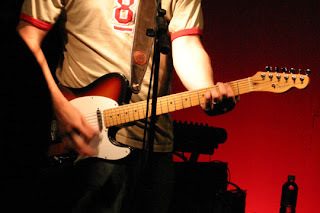 Its importance within the genre is demonstrated by the number of lyrical references that it has acquired over the years, name-checked in loads of classic cuts. Ultimately, the trusty SP 1200 allowed hip hop to develop into the beast that we know today: hats off to that. I plan to post up a couple of little extras now that the equipment series (not particularly extensive I know) is done with. Fashion, graf and some other bits and pieces to come in the future: stay tuned.